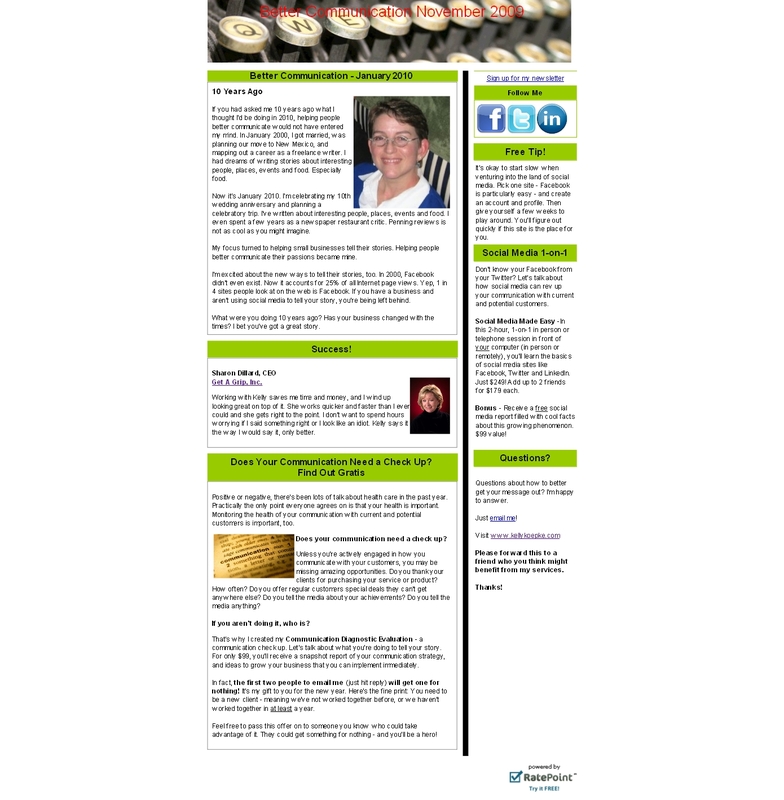 My January 2010 newsletter, Better Communication, is now available. Click below for the PDF version. Sign up to the right to receive the newsletter in your email. This entry was posted in 1 on January 31, 2010 by kellykoepke.